Welcome to the best all around fitness center in St. Augustine. Do you want the best CrossFit experience available? Sign up today and for a free intro session to find out why we’re the best. We will help you tailor your workout to exactly what you need to achieve your fitness goals quickly and safely using a personalized version of one of our CrossFit Programs. Our Doctor of Physical Therapy will help you get rid of pain so you can get the most of your workouts by using the trifecta of hands on therapy, exercise and diet. 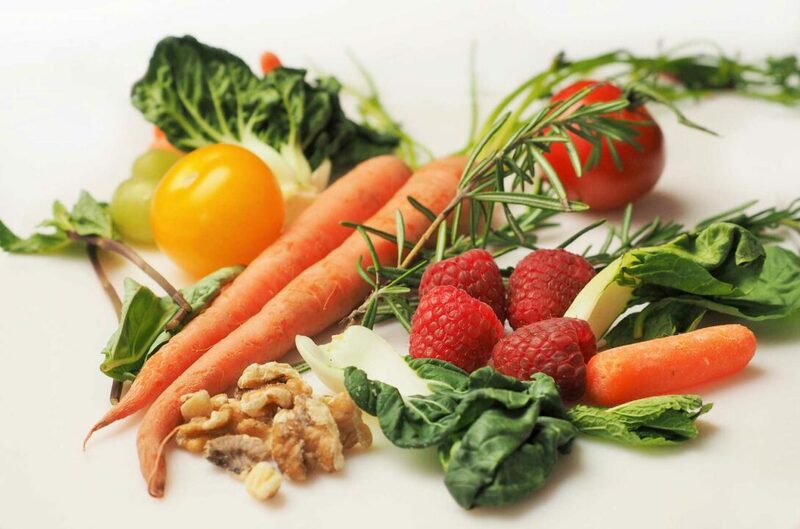 Our registered dietician will work with you on the physical, emotional and psychological aspects of diet. Food is more than just what you eat, and want to help you get the most out of it. 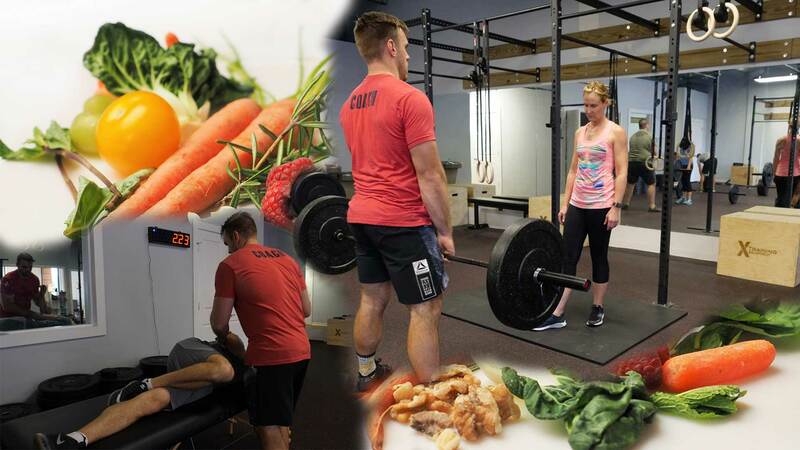 TriForce Fitness was founded by husband and wife Chris and Megan Davis because they believe that CrossFit should be a part of a bigger long term health plan that includes a proper diet and phsyical therapy for bodily maintenance and injury prevention. This is especially true for more intense workout programs such as CrossFit. Throughout many years of competitive lifting, exercising and training Chris and Megan found that they were never able to find a place that integrated proper training, physical therapy and diet all into one. After seeing so many people spend so much time exercising but injuring and re-injuring themselves or holding themselves back due to a lacking diet, Chris and Megan decided it was time to make an all in one solution. At TriForce CrossFit we combine and integrate CrossFit Programs, Physical Therapy and Nutrition Coaching from the beginning to make your results even more powerful. If you are looking to shed a few pounds while also learning proper form and technique, this is the place to be! The combination of CrossFit, Physical Therapy and Nutrition leaves absolutely no reason why you can't have the body that you have always wanted! Wow! Just Wow! Great workout! I'm a beginner and it was hard but the motivation was amazing! I did it and I feel INCREDIBLE! Thank you both so much! I'll be back for sure! And I'm bringing friends next time! "When I met Chris and Megan, I was approaching 40, overweight, out of shape and ready for a change. I had tried running, even half marathons, but had not done strength training since I was in high school. I was convinced my adult body was just destined to be overweight. I started working out with Chris a few times a week with a small group. It was hard work, but I was amazed at how my body changed. Within a year I was happy with myself again and even more importantly than how I looked, I felt strong and my knees no longer hurt all the time. I also consulted Megan on the side for nutrition advice and that was an important part of my transformation. They are committed to helping people change their lifestyle in a way that is realistic, sustainable, and fun. I still have my slumps and I don't always workout enough or eat right, but I know what to do now to get back on track, and if I ever need a little encouragement, I know I can call Chris and Megan. " "Family Medicine Boarded, Osteopathic Physician specializing in Emergency and Pain, and a victim of thinking I'm still 19 trying to dead-lift a car at the gym. Four weeks walking around with an ice pack on my left buttock and sweating during procedures from the pain had made me desperate. Standing up from a meal with a rep, she laughs and says what's wrong with you as I can't stand all the way upright. The story is relayed. She makes a call. Chris arrives that afternoon with promise of being able to get me painfree. I don't quite believe him, but, I'm desperate. I've reached the end. He worked with me, mostly using manual therapy, and it felt like he could touch my pain. Two days later, I'm back at the gym on light duty, but back nonetheless. I am a believer. I was healed. I have been changed. Chris fixed me, a doctor who was giving himself injections, X-rays, and getting massages three days a week to be able to get out of bed, and he fixed me in 3 sessions. I'm all in..."
Awesome Husband/Wife Duo who truly train, correct form and motivate during workouts! Love it! Amazing! TriForce is a perfect place to workout. It has everything you need when it comes to fitness. As a registered dietitian, Megan, will give you expert nutrition advice. Chris will use his expertise as a physical therapist to teach you how to lift and take care of any bumps and bruises along the way. Truly wonderful staff, perfect atmosphere, and challenging workouts. This is a place that no matter if you have never lifted a weight in your life or have been working out for years you will soar to new heights. I would recommend anyone in the area to go now! They have classes ranging from kids, beginners, and experienced lifters. The best place to start your New Years resolution! Get up, go now! Awesome place to go and train, the staff/owners are extremely well educated in their field and very helpful I strongly recommend Triforce Crossfit!